1. Boxing Fun: I negotiated my way into working at the mixed zone where athlete interviews go down after their bouts. Got to lead in a few boxers from the athlete prep area and make sure they had interpreters from language services for the reporters. Some of them came in very battered and bloody – yuck! It was particularly heartbreaking to see the French boxer crying his eyes out after getting physically knocked out in the third round by Azerbaijan. Also surprising to see how tiny some of the lightweight boxers are in person! Things are going to get really busy in boxing press ops next week when we have a lot of medal fights. 2. 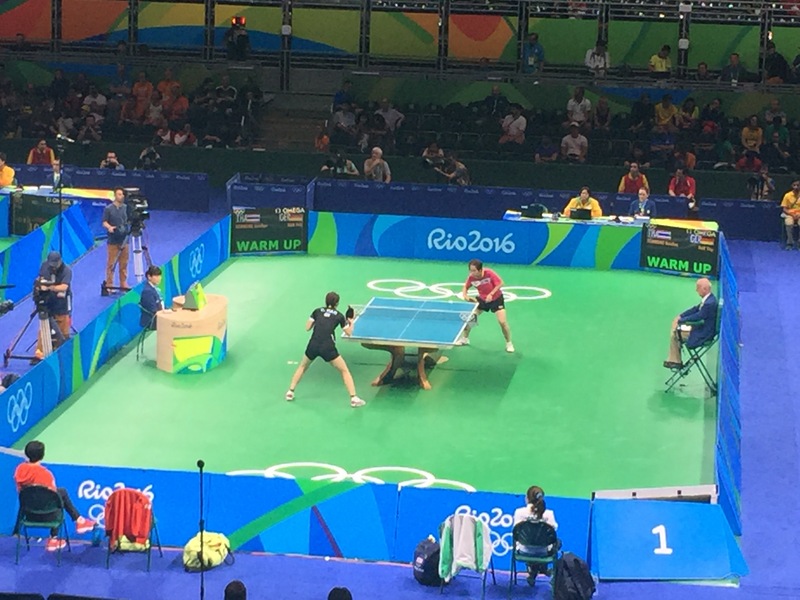 Event Action: Went to table tennis last night and the main match-up was between North Korea and Japan. Very exciting! It’s best of seven and even though the crowd was cheering loudly for Japan, the North Korean upset her. 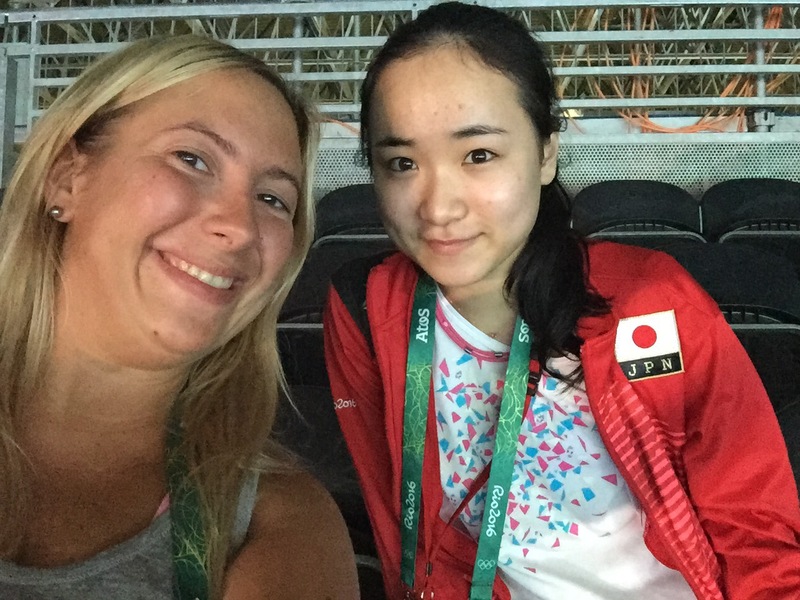 During that, I inadvertently found myself sitting next to Mima Ito, a Japanese team table tennis player. Before I left, a Danish table tennis player and I bonded over the completed inefficiency at the concession stands when we both attempted to buy popcorn. She was even more frustrated than I was and got us our money back. Went to the women’s sabre fencing finals today and watched Russia take gold and silver while Ukraine went home with the bronze. The final was a nailbiter, going down to the very last point! 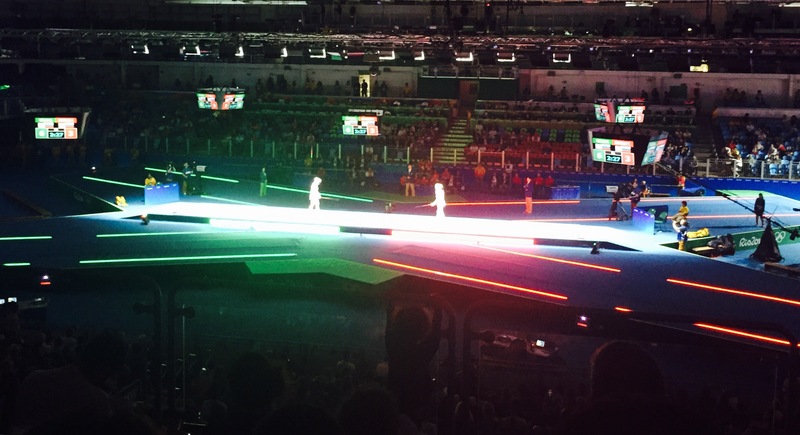 Had never watched fencing before and still don’t understand all of it but learned a lot all the same. 3. Rio Transport: Y’all definitely know this requires its own series. BUT, ladies and gentlemen, I did not mess up on transport today, believe it or not! I made it to my venue, to Olympic Park, and back home fairly smoothly. There was potentially minor hiccup but the wonderful Leonardo Correa helped me out and I was fine! The one positive thing about the transport adventure that is Rio is the fact that I am constantly making friends on the bus – we bond over the complicated nature of the system, what can I say. 4. Olympic Park: Since I had a fencing ticket, I ventured into Olympic Park for the first time today. I prefer the one in Sochi, which just looked nicer, and had the ACTUAL BURNING TORCH right in the center of it. Like I mentioned before, I just don’t feel like there’s any sort of vibe. At the back of the park, there was this “festival” area with a few stages and the Coke, Nissan, Claro, and Bradesco pavilions. 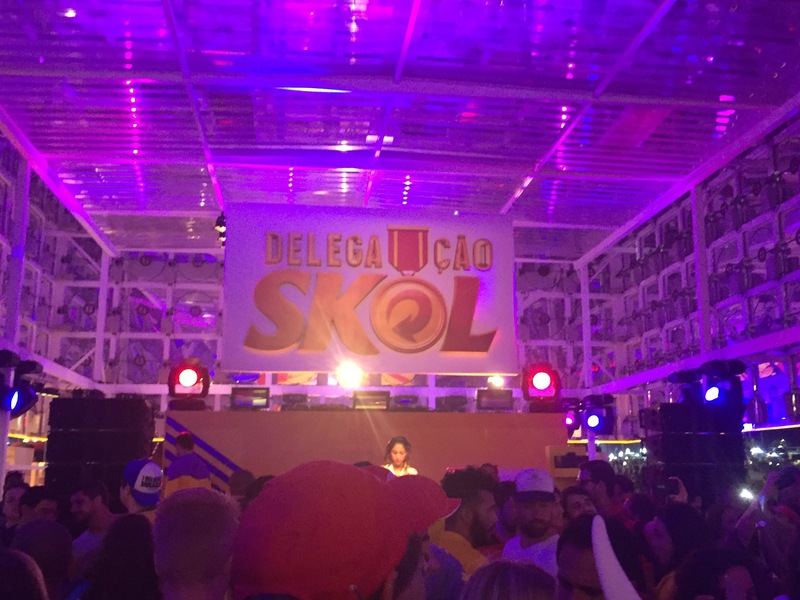 The SKOL (local beer brand) House was like a club with a couple of bars, DJ, and a dance floor. Very cool-looking. 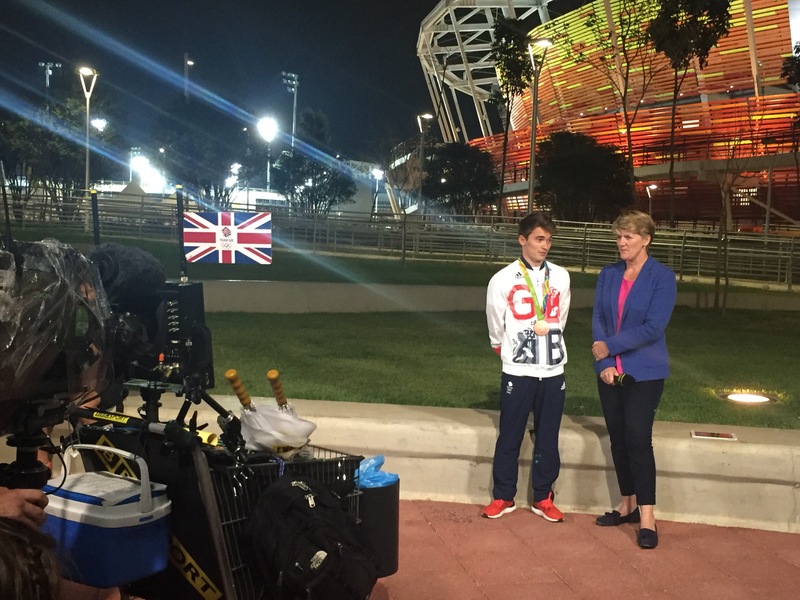 On the way out, I spotted a Team GB bronze medal winner getting interviewed by British Olympic TV. 5. 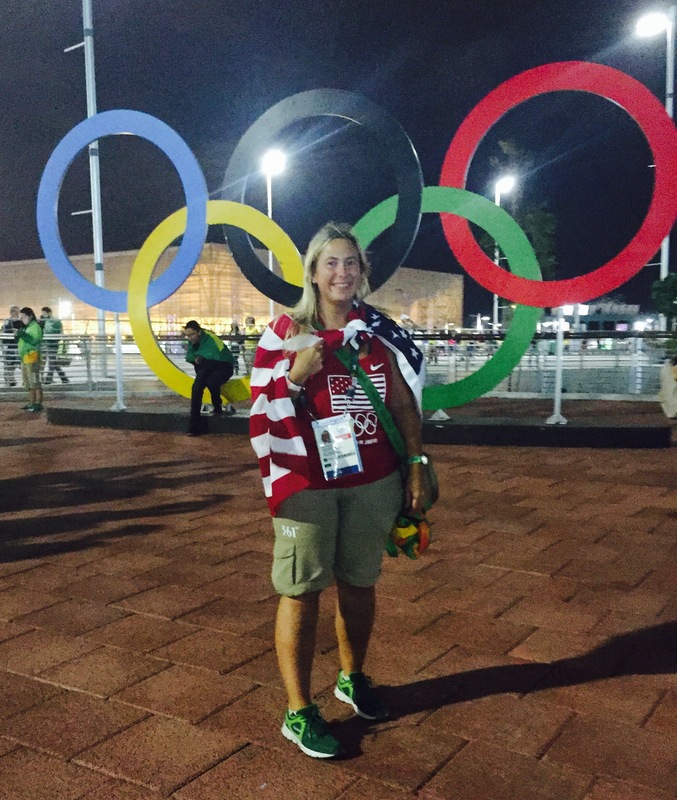 Food: Like Sochi, I kinda feel like this is the Hunger Games again. Concession food is bad and last night, my hot dog had some weird potato things on top of it (I picked them off.) Olympic sites are isolated so it’s hard to get at other food unless you bring it in or stop at a kiosk at one of the 6373638 bus stations. I packed some Goldfish and granola bars to mitigate this. The McDonald’s in Olympic Park only sells desserts for whatever reason but there is a regular McDonald’s in the Olympic Village. The volunteer meals are OK – I prefer them to the ones I got when I worked at the FIFA 2018 World Cup Prelim Draw in St. Petersburg last summer. EXPO friends, I think those in Milan remain the best #Italianfood 😁😂 The dessert cups are interesting – yesterday I had a pumpkin coconut-flavored one! 6. 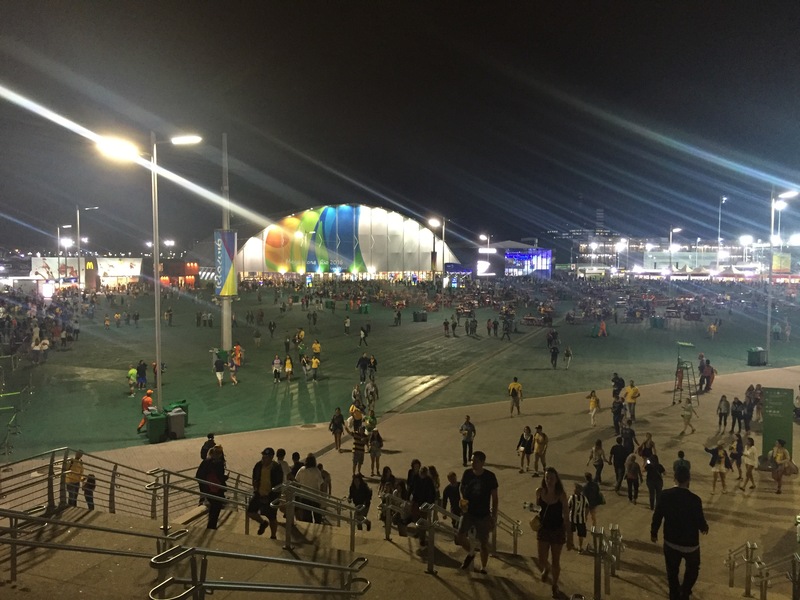 Miscellaneous: Very tired already and have a 9-3 shift and a rugby event tomorrow at the smaller Deodoro Olympic Park. Also all of the volunteers received two free event tickets as a gift. I suspect this was just to help fill seats. I scored handball tickets which I’m stoked about because I’ve heard it’s very thrilling to watch. Shout out to those watching on TV – I’m sure you have seen more of the Olympics than I have even though I am physically here. Just too much going on!